Saigon also known as Ho Chi Minh city is one of the biggest cities in Vietnam and has become an popular tourist spot in Vietnam. It is also known as a city with thousands of motorcycles. There are so many tourists who visit Saigon every day. Certainly, Saigon has a lot of attractions that are worth to visit during your holiday. 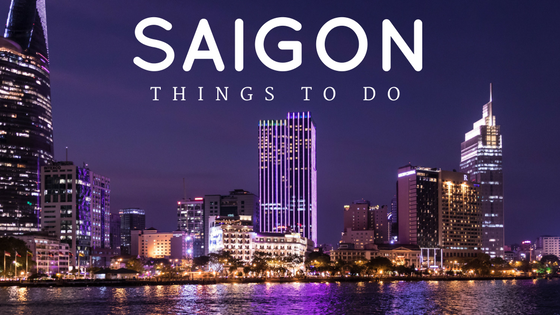 So, what are things to do in Saigon during your vacation time? Here are several nice things to do in Saigon that you should not miss. Cu Chi Tunnels is an underground tunnel in Ho Chi Minh City, located in Cu Chi District. It takes 1 hour by Bus to head to Cu Chi Tunnels. Cu Chi Tunnels has a length of about 121 km, formerly used as a hideout for the Viet Kong soldiers during the war. But, now Cu Chi Tunnels has been used as a war memorial park as well as a tourist spot. The Reunification Palace or Independence Palace is a building which was once used as a residence for the presidency of southern Vietnam at the time before it was united. 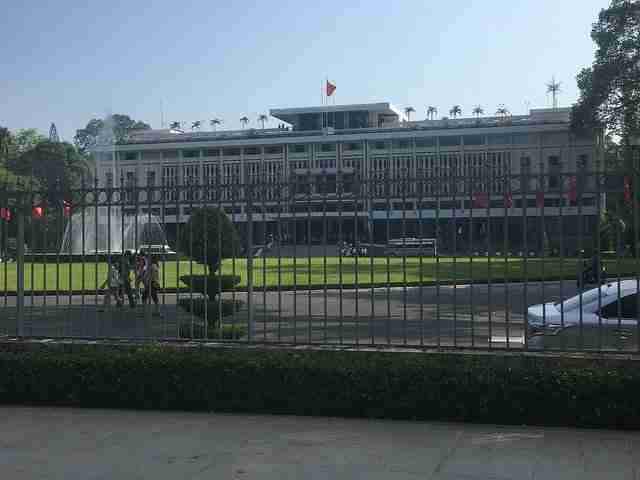 The hallmark of the presidential palace in general is a vast expanse of green grass in front of the Reunification Palace and it also is arranged very neat and clean. So, you may spend one hour to enjoy this Palace anyway. War Remnant Museum has various relics of the Indo-Chinese war in which at that time Vietnam faced with French colonial. The items on display at War Remnant Museum include American war equipment (jets, helicopters, and tanks), documentation of cruelty and torture during a war that looks a bit dreadful but makes you curious. 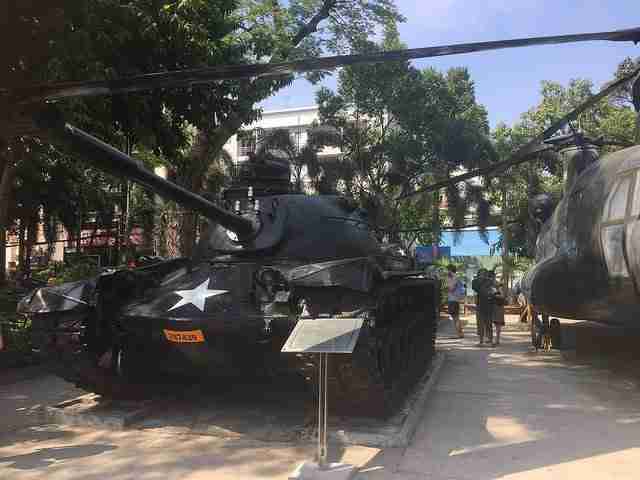 War Remnant Museum is open daily from 07.30-17.00 and it is located at 28 Vo Van Tanh Street, District 3. It is located at the end of Nguyen Hue Street. 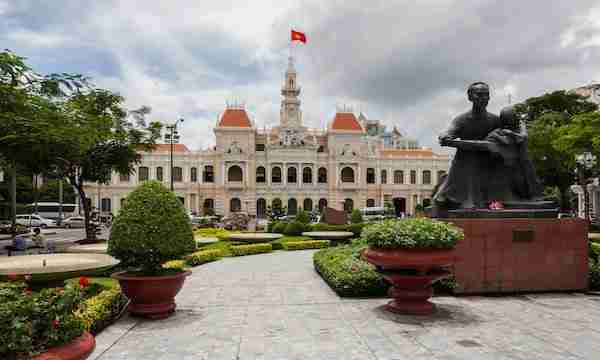 The building originally called Hotel de Ville Saigon was built-in 1902-1908 during the French colonisation. You are recommended to visit City Hall at night because the lights on the outside of the building are turned on. And the effects of the illumination of light are very interesting at night. Unfortunately, you cannot enter the City Hall because this place is not open to the public, so you just enjoy the outside of City Hall only. It is also known as Cho Ben Thanh as the biggest and the oldest market in Saigon. It was first built-in the 17th century. Been located in District 1 and has a clock tower as its characteristic in the entrance. Most of the tourists who visit this market may buy some local handicrafts, souvenirs, clothes, and local culinary. Before you return to your hometown, then you must visit this market and do not forget to bargain to get cheaper prices anyway. Saigon has a reasonable supply of guest houses, hostels and hotels. Here are a few places to check out if you are planning to visit Saigon Vietnam. Located in the heart of Bui Vien Street. WiFi access in all rooms, each dormitory room has with pillows, privacy curtains and clean linens. Personal locker with magnetic card key and fresh towel are also provided. Guests have access to shared bathroom with shower facilities. Grand Silverland Hotel & Spa is just a 1-minute walk from Ben Thanh Market. It features free Wi-Fi access throughout its premises. The air-conditioned rooms feature a flat-screen TV, free bottled water and free tea/coffee making facilities. Some rooms overlook the city. En suite bathrooms come with a bathtub and shower. Situated beside the famous Ben Thanh Market, Golden Central Saigon offers elegant, non-smoking rooms and an outdoor pool. Guests can enjoy free WiFi access. Air-conditioned rooms at Hotel Golden Central come with cable TV and a safe. Private bathrooms are well-equipped with a bathtub and bathrobes. Finally, those are a few fun things to do in Saigon Vietnam just in case you want some information about Saigon. Once you visit Saigon, you will feel amazed by this city. And that’s it for now! 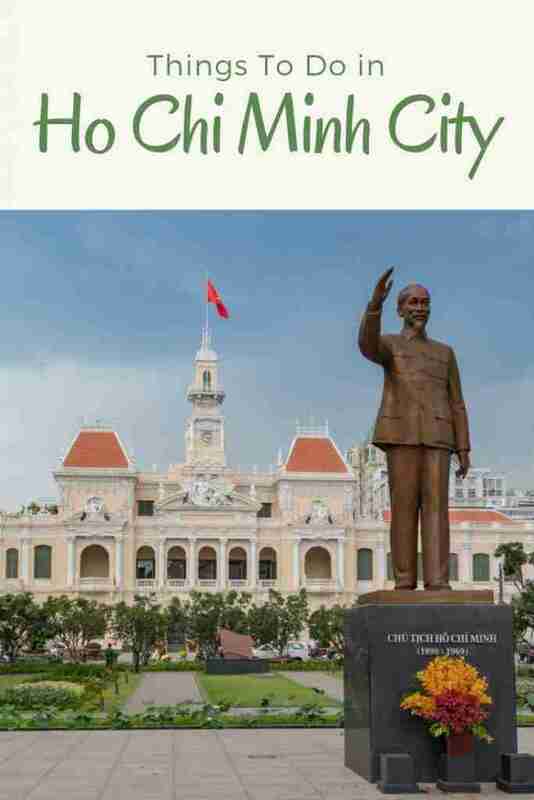 I’d love to know if this guide on the things to do in Saigon Vietnam has helped you. Let me know if you have any questions and let me know if you visit Saigon.